We build addictive mobile experiences that raise productivity in training, onboarding and customer/partner engagement. DAZZMOBILE changes the game for Training & Events by making continuous learning fun and addictive. 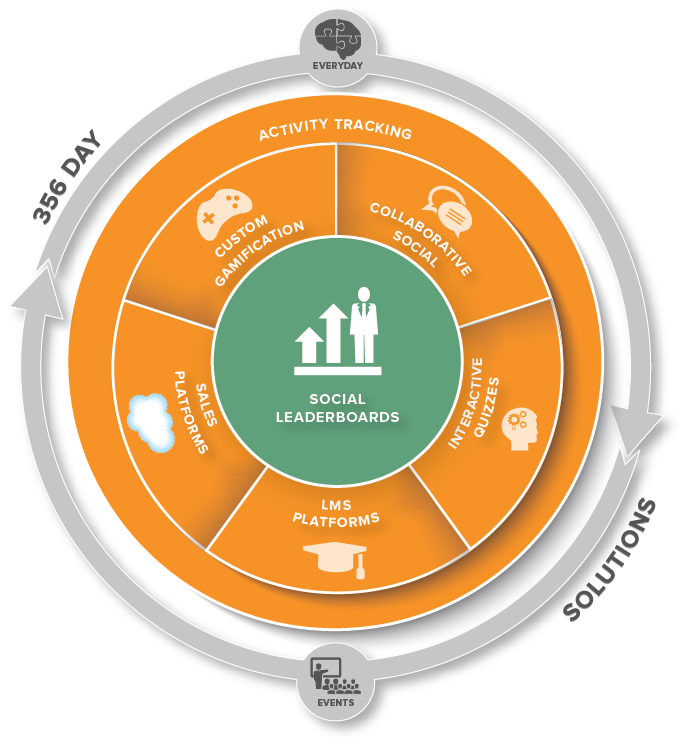 Our custom-configured mobile SaaS Solutions combine activity tracking with gamified social leaderboards to deliver addictive user experiences. Onboard, Train and fire up the base as you increase close rate productivity. Onboard & train knowledge workers across your organization. all the days in between. Combine in-app and out-of-app activity tracking with exciting graphics social leaderboards, games, contests and e-rewards. The Result: A custom configured business solution that's fun, addictive, and designed to deliver the business results you are looking for.